THE SOUDAN BANK FISHING TRIP IS A COMBINATION OF TROLLING, JIGGING AND POPPING. The Soudan bank is located at 100 nautical miles north east of Mauritius. It is more than 100 km2 and has a depth average of 50 meters up to only 15 meters on the peak. 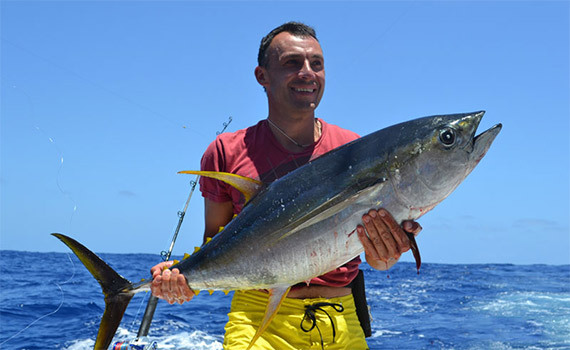 Jigging: dogtooth tuna, yellowfin tuna, wahoo, giant trevally, amberjack, and grouper. 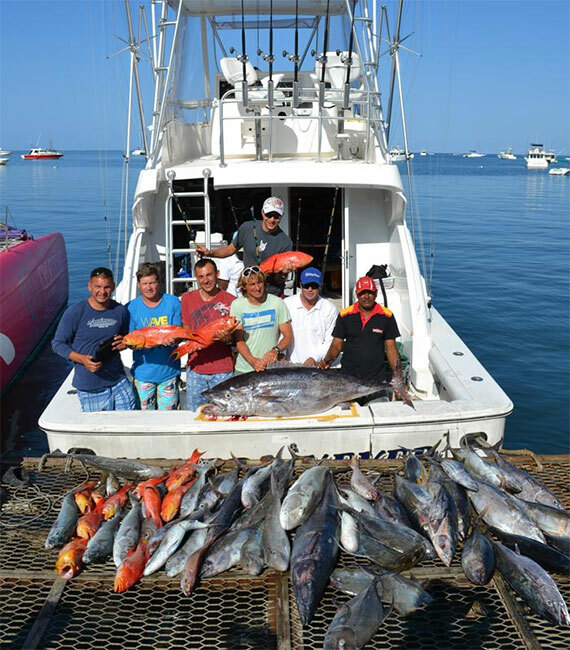 Trolling: blue/black marlin, sailfish, dogtooth tuna, yellowfin tuna, wahoo, dorado. 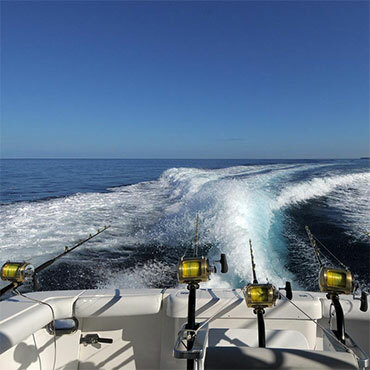 Popping: tuna, dorado or wahoo hunting at the surface, behind the boat. The bank is a different type of fishing as you hardly see birds; we concentrate on the topography of the bottom and fish most of the time along the ramps and peaks. 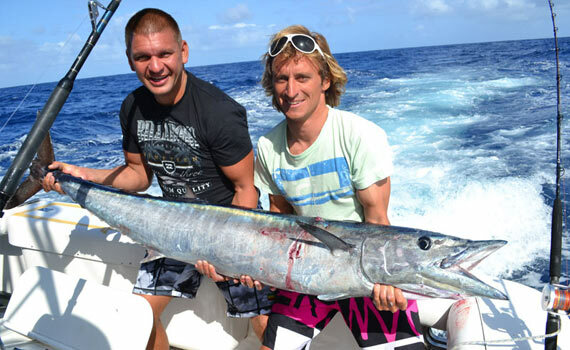 You can expect amazing surprises when fishing there and will most of the time have marlin strikes. We fully encourage marlin and shark release. 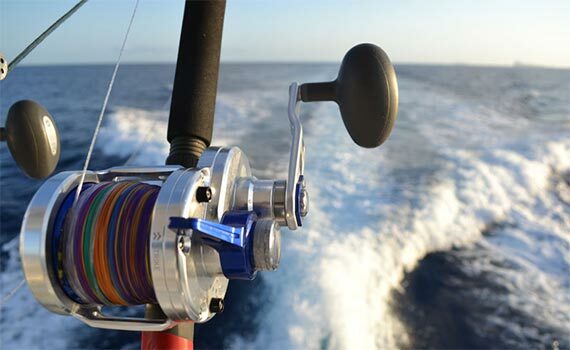 You will have the opportunity to practice stand up fishing against different species from 25 to 200 pounds with top-class fishing equipment and highly experienced crew. 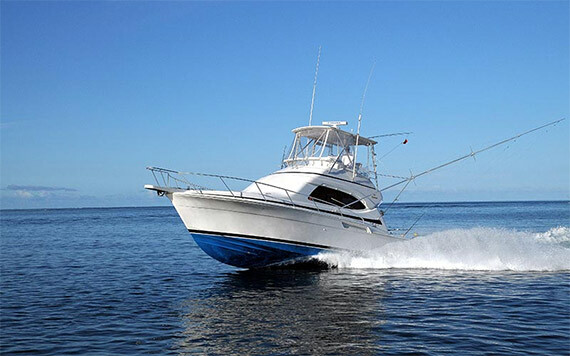 The choice of a Bertram 390 comes from the fact that these boats are among the best in the world. This boat is very resistant and ideal to ensure a safe navigation. It is also known for its comfort and reliability. 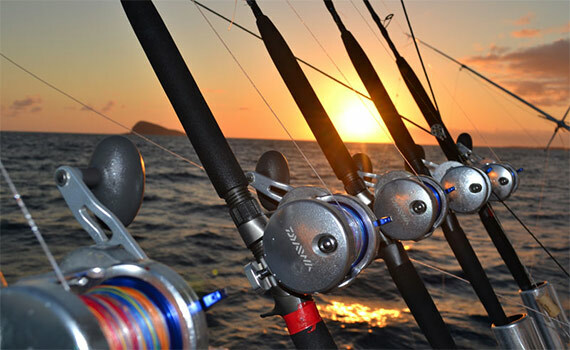 • A selection of conventional, popping and jigging rods, reels and braided fishing lines.